Like anything big, you have to start small. So, consider the two most important things you’ll need to begin this journey of exploring wine: a “passport” and curiosity. Dig into even more wine tasting terms to be able to talk about what you like in certain wines and what makes them distinct from each other. “Do you have any wines from [specific region] or a wine similar in style?” This gives the wine expert a sense of your interest and the chance to offer an easy-to-find option or a unique bottle just for you. “What wines are you excited about on your list at the moment?” If they don’t give you an eager response, they might not actually like (or deeply know) wine like a professional should. “I’m cooking [specific dish] for dinner. 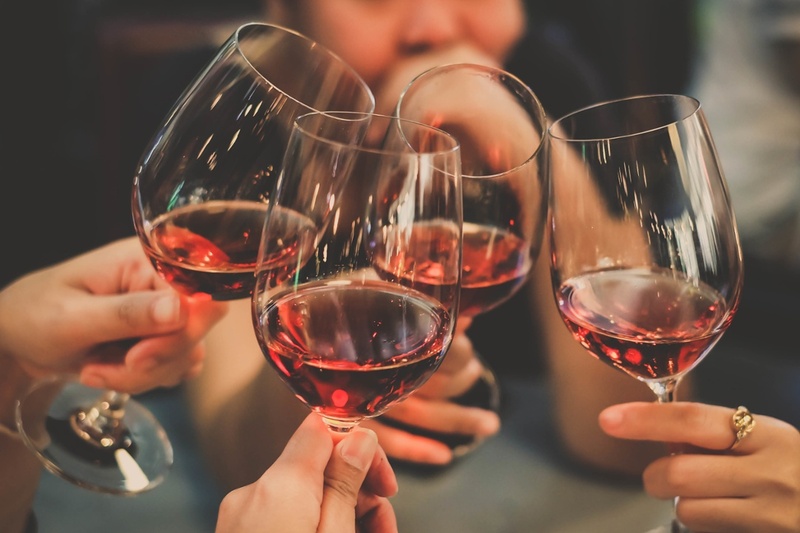 Which wine pairs with that?” You want a wine pairing that will dance with the flavors of your food, and a wine expert can easily offer several suggestions. “What is your favorite bottle of wine under $20? Or between $40 and $60?” What a great way to lean on a wine shop’s expertise so you can try different wines you wouldn’t otherwise find at a price that works for you. A key fact you’ll learn in this wine for beginners journey is that lots of wine varieties are made in lots of places. One practical trick to use when searching for just the right bottle for just the right occasion (even if it’s a simple weeknight dinner) is to look closely at the wine label. Now it’s finally time to bring out that bottle and serve it to your special someone or valued guests. Ever wonder what’s the deal with all the different shapes of wine glasses? Do they really make a difference? Short answer: Yes. Be extra prepared and have the specific wine glasses that offer the best characteristics of the wine you’re drinking. Haskell's has nearly 2,000 different wines available for sale online. Jack Farrell has traveled the world to bring you the very best wines for 45 years. He's put together a list of his favorites in the newly premiered Haskell's Hundred, which is a perfect way to get started in wine for beginners. Buena Vista The Count 2014 — Savor the dark chocolate aroma and a palate of dark berry flavors, plum skin, and mocha mingling with hints of cinnamon and vanilla. Cambria Benchbreak Pinot Noir 2014 — This medium- to full-bodied wine with intense red fruit, floral notes, and hints of spice and herbs offers a lot of flavor at an affordable price. Chateau d'Aigueville Massif d'Uchaux Cotes du Rhone 2015 — This blend of Grenache, Syrah, and Carignan come together to form a decadent, dark, and robust French wine with flavors of black fruit, blackberry, and a hint of spice. J. Moreau & Fils Chablis 2015 — This Chablis (AKA Chardonnay from France) is golden with an intense nose of peach, pear, pink grapefruit, and almond. The palate is fresh, balanced, and creamy with notes of cherry blossom and citrus zest. Torchbearer Oakville Cabernet Sauvignon 2015 — A fine choice from the many wines produced in Napa Valley. Enjoy this sophisticated wine with well-aged beef, cheeses, and great company. Once you've sampled these five wines, explore the rest of Haskell's Hundred list for more wine recommendations. You’ll never run out of adventure now that you have this useful wine for beginners guide.